 The latest and greatest PickAxis build contest has arrived! Get ready to build the most awe-inspiring and magnificent creation of your life... with tons of dirt! That's right, it's the Dirt Build Contest! Now through the end of the day on April 7th, let your creativity run wild! Just jump onto the build contest server (/server buildcontest), claim a plot (/plot auto), build something awesome, and submit it (/plot done) before building ends on April 7th! We'll announce the winners a few days after that. Speaking of winners, check out the prizes for this contest: 1st place 40 Coins 2nd place 30 Coins 3rd place 20 Coins And of course, don't forget the bragging rights to having the awesomest* and most marvelous dirt creation! Sometimes it's more fun to build as a team, so we've got you covered! Teams can split the prize and glory! ** So, let's talk rules. Yeah, we've gotta. I know, I know... I'll make this quick. First, don't go off and build anything offensive! I don't want to end up having to disqualify dirt-y builds. Second, make sure that your build looks like it's made of at least 75% dirt. This can be any kind of dirt, whatever your heart desires! Be sure to submit your plot with /plot done when you're finished, so that we can find it for judging! Oh, and we'll be judging based on creativity, originality, design, and adherence to the use-a-lot-of-dirt rule. So what are you waiting for?! Get out there and build something awesome! * "Awesomest" isn't a real word, but if it were, that would be pretty awesome! It's totally the kind of word we'd use to describe really cool things made of dirt. ** We're not sure how splitting glory works, but we've been assured it can be done without even needing any power tools (we typically use a saw to split the coin rewards). April Fools'! But hey, this is an actual contest, so get to building! Space Build Contest - Ending Soon! ========WARNING! WARNING!======== Judging has begun! Winners will be announced Monday! Good luck! Official Rules Builds cannot be offensive. 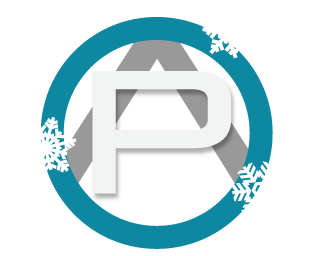 All builds must have a holiday theme. What you build (for example: igloo, ice palace, snow village, etc.) is up to you. Your build should illustrate a winter-themed wonderland. All builds, to be considered as an official entry, must be marked completed using the command /plot done. Any builds not marked as completed by the close of the contest on January 4, 2015 at 11:59 PM Eastern Standard Time (EST) will not be judged as an entry. Criteria for judging, based on a 10 point scale, are as follows: creativity, originality, winter theme, and design. Point totals will not be made public. Have fun! Tips for Entries To get started and find your plot, use the command /plot auto. If your entry requires elements not set as the default environment in the contest world, instructions should be placed on a sign at the border of your entry plot, facing towards the path. Elements can include a day/night element or weather. Any questions on other possible element capabilities should be messaged to helios8385 here on the forums. If there is a component of interaction involved with your entry, this must be explicitly and obviously noted on your contest plot. A sign along the outside edge of the plot, facing outwards towards the path, will suffice. All features of a creative server are enabled, including WorldEdit and redstone. Any questions on how to use World Edit should be searched. Please don't bother the staff about your build. Heroes & Villains Build Contest Ending Soon! The PickAxis Heroes & Villains Build Contest will be ending soon! Remember to submit your plot for judging by using /plot done while standing in it. Plots must be submitted by tomorrow morning (Monday, December 1st) at 5:00am Eastern Time. If you don't submit your plot, the judges won't be able to review it! We look forward to seeing what super heroes and villains have inhabited the city! With great power comes great responsibility. Official Rules Builds may not contain offensive content. All builds must be something heroes or villains would conduct their super business in. What you build, i.e. castle, cave, underground lair, sky fortress, high-tech lab, etc., is up to you. Your build should illustrate your side, good or evil. Please leave a sign explicitly stating your intended side, good or evil. All builds, to be considered as an official entry, must be marked completed using the command /plot done. Any builds not identified as such by the close of the contest on November 30 at 11:59 PM EST, will not be judged as an entry. Criteria for judging, based on a 10 point scale, are as follows: Creativity, Originality, Hideout Theme, and Design. Point totals will not be made public. Have fun! Tips for Entries To get started and find your plot, perform the command /plot auto. If your entry requires elements not set as the default environment in the contest world, instructions should be placed on a sign at the border of your entry plot, facing towards the path. Elements can include a day/night element or weather. Any questions on other possible element capabilities should be messaged to helios8385 here on the forums. If there is a component of interaction involved with your entry, this must be EXPLICITLY and OBVIOUSLY noted on your contest plot. A sign along the outside edge of the plot, facing outwards towards the path will suffice. All features of a creative server are enabled, including WorldEdit, redstone functionality, and gravel/sand block physics. Any questions on how to use WorldEdit should be searched. Please don't bother the staff about your build.